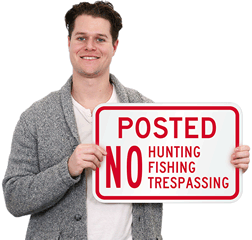 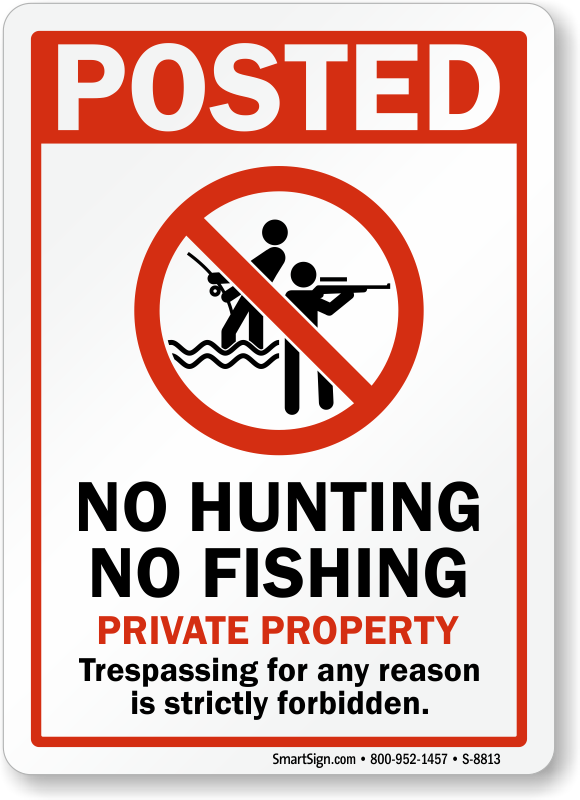 Long-lasting ‘No Hunting and No Fishing Signs’ preserve fauna in your private property. 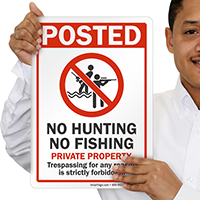 Signs prohibiting trespassing are bold enough to threaten intruders. 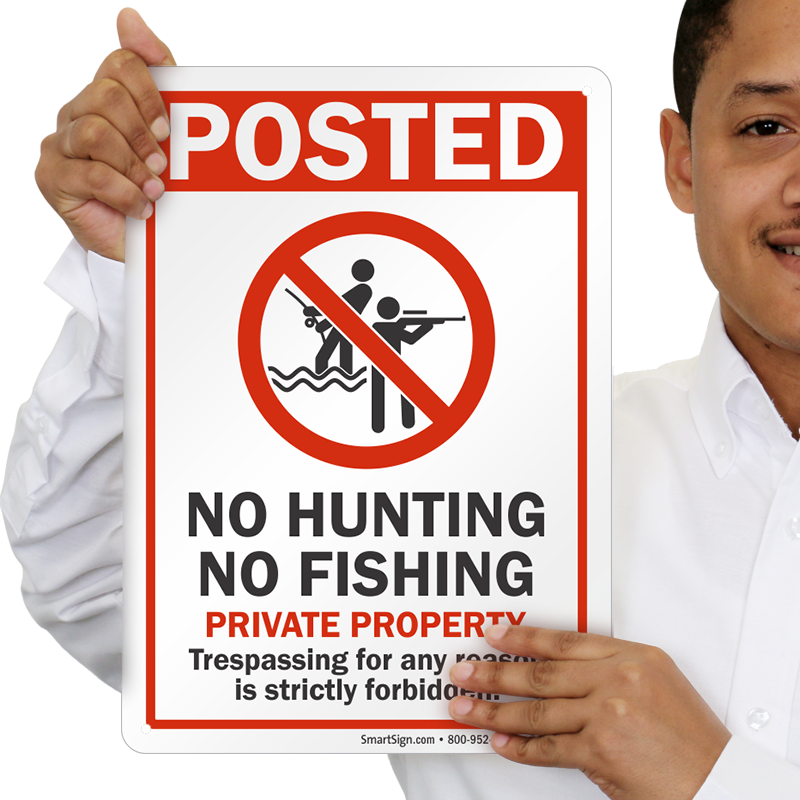 • Signs with graphic are easily understood. 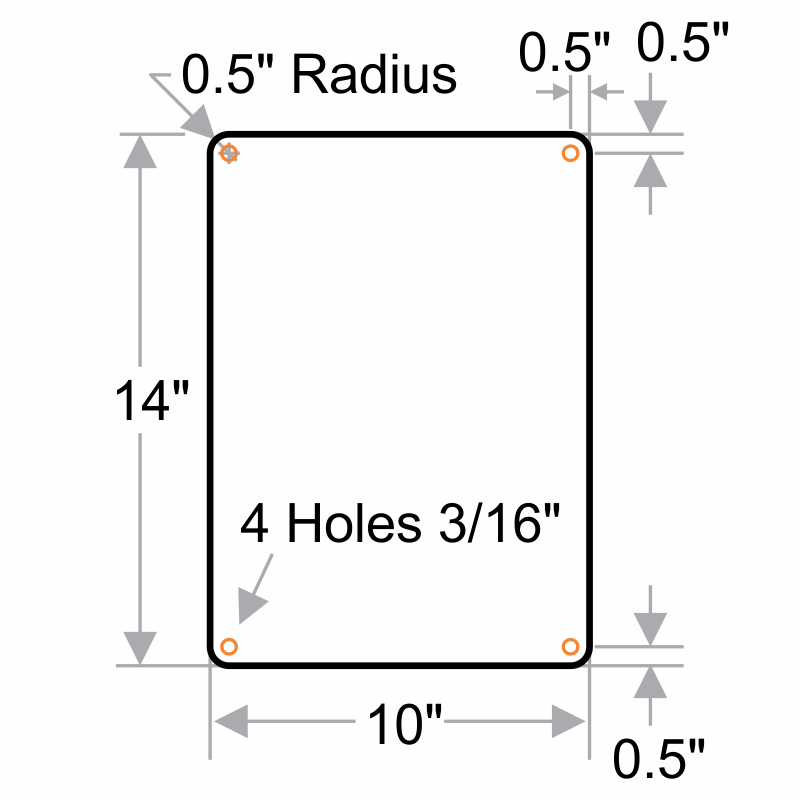 • We use the finest material to manufacture signs that are built to last.